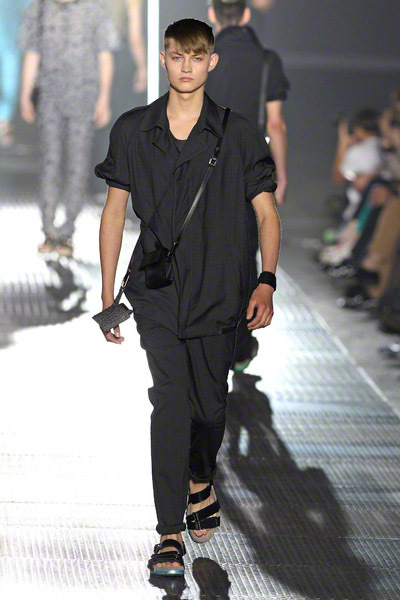 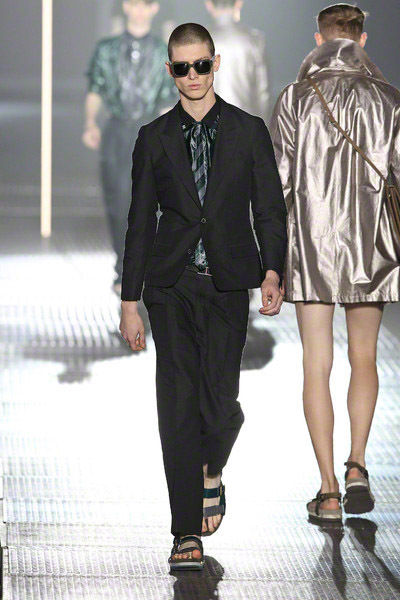 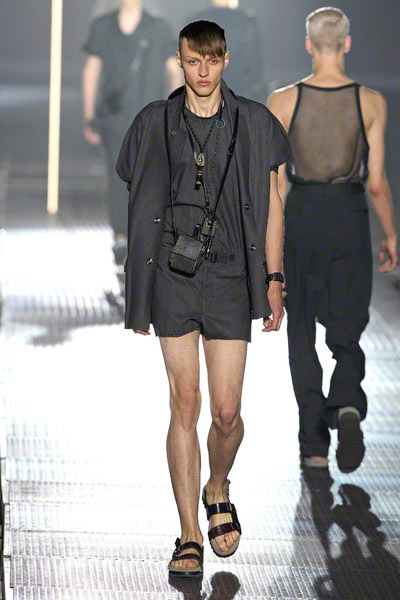 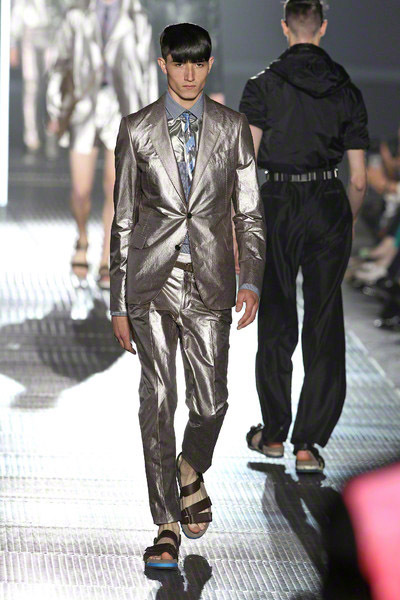 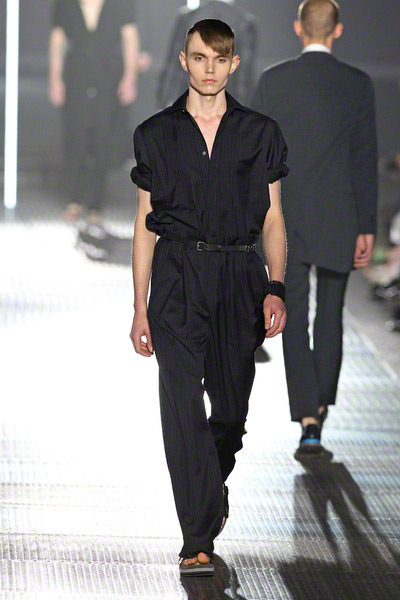 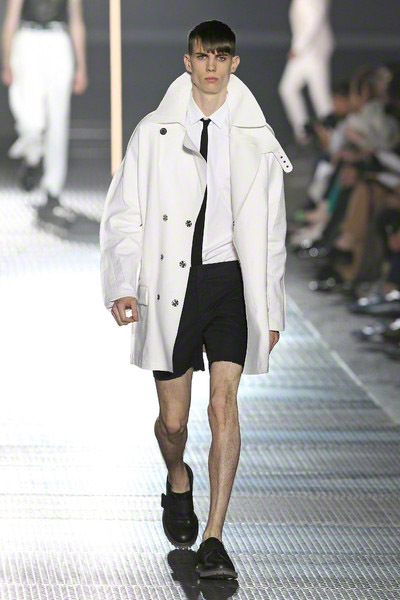 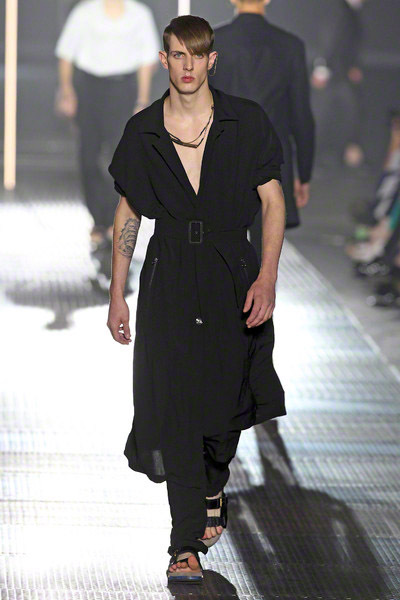 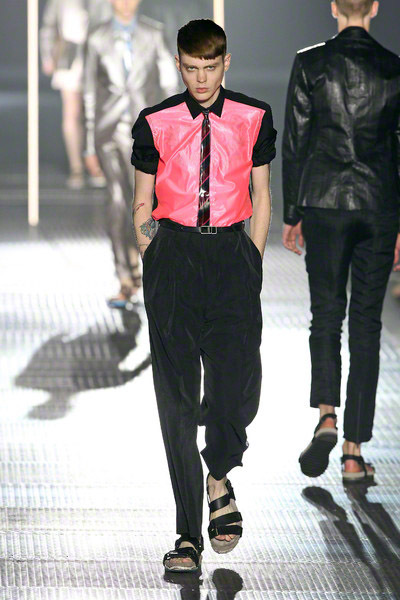 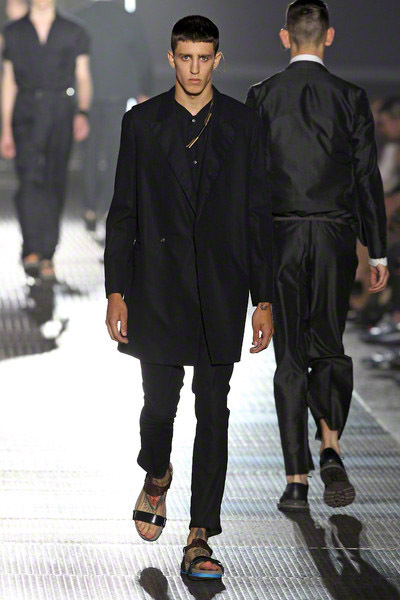 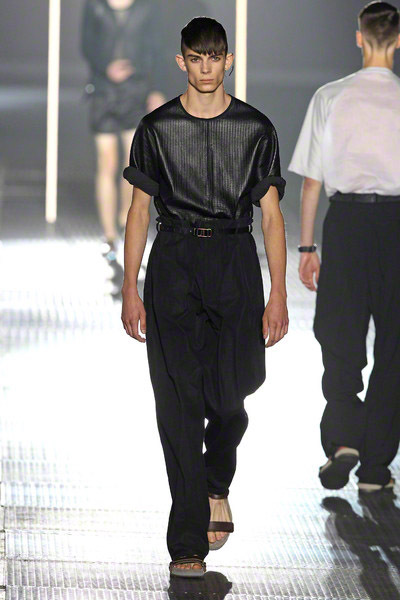 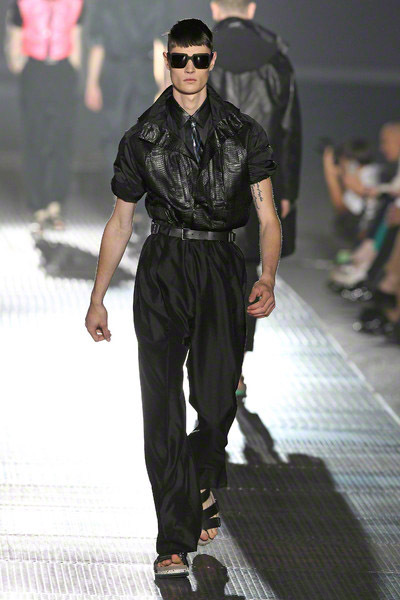 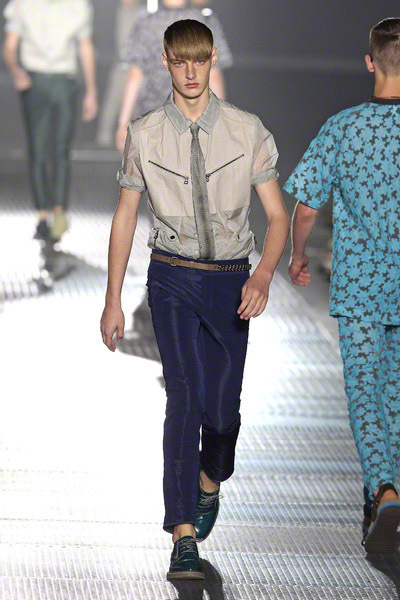 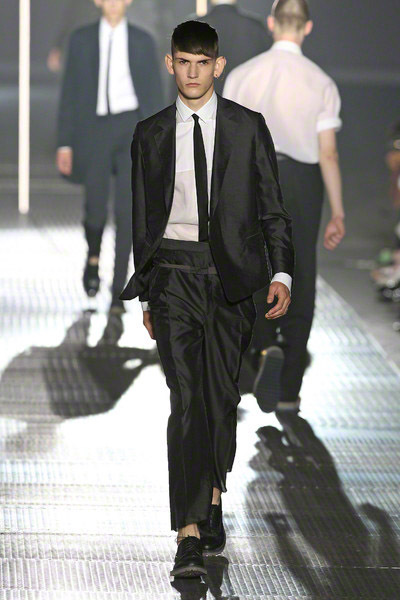 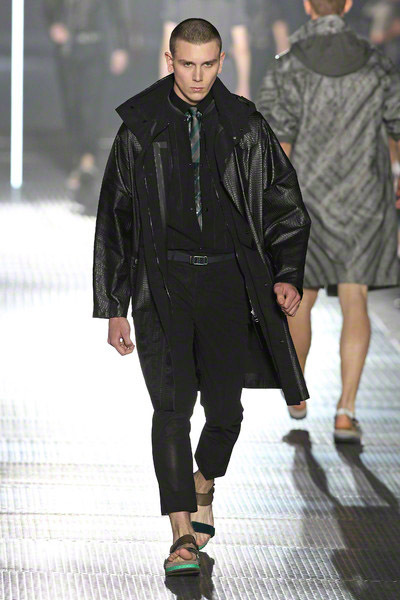 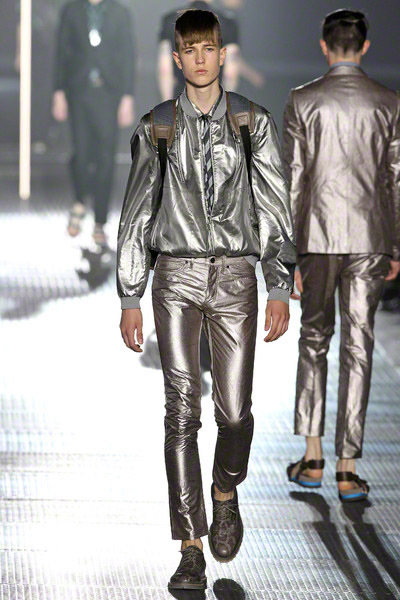 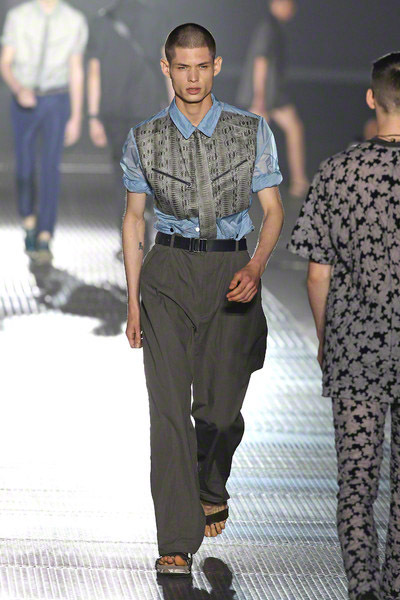 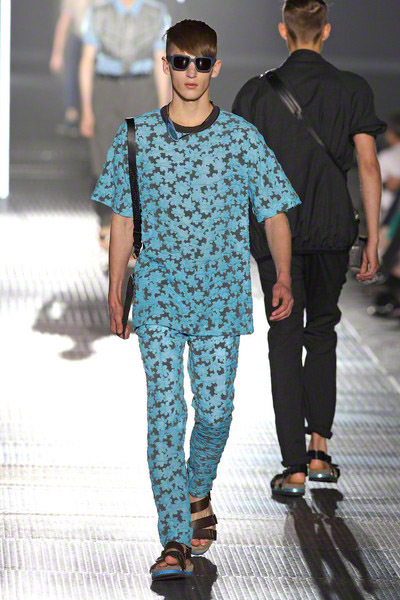 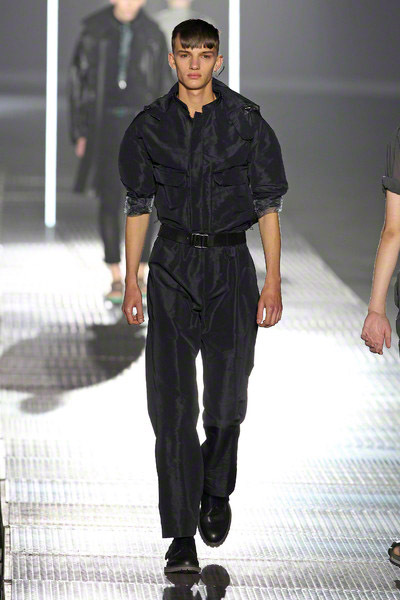 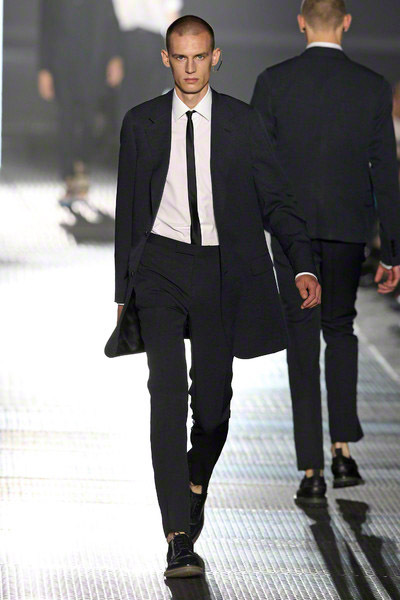 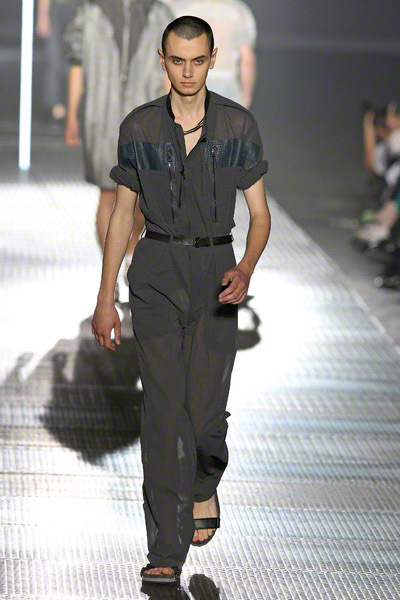 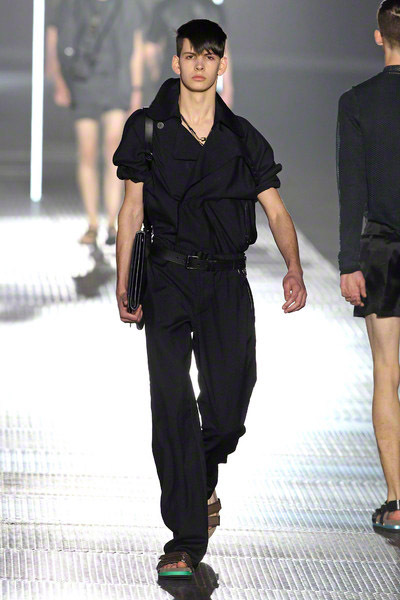 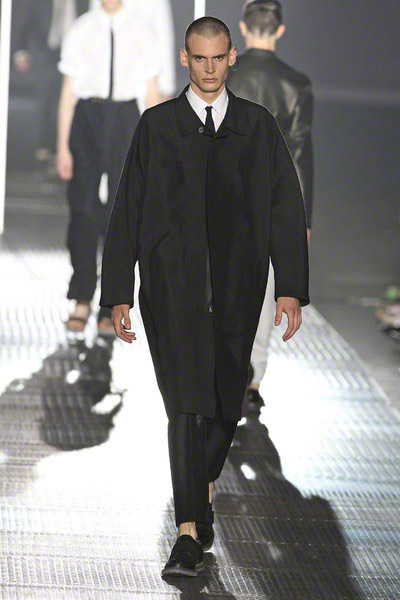 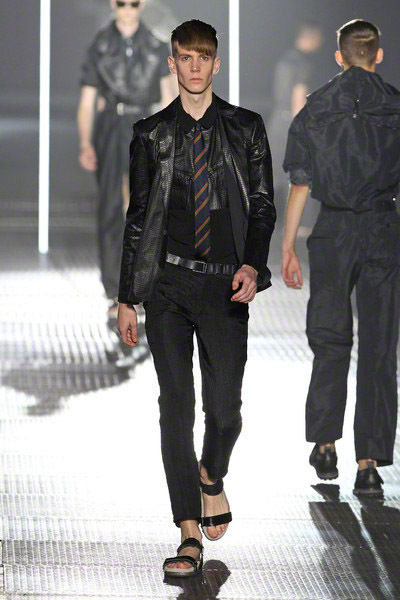 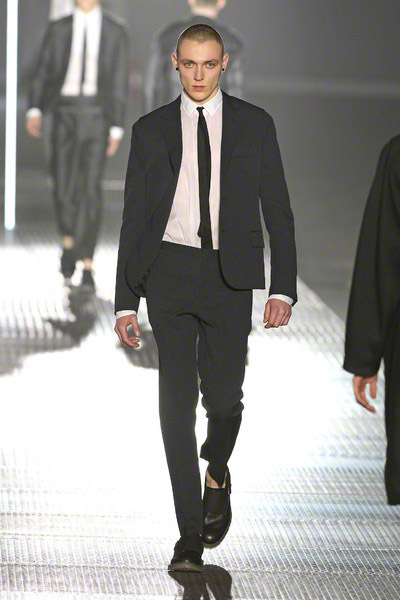 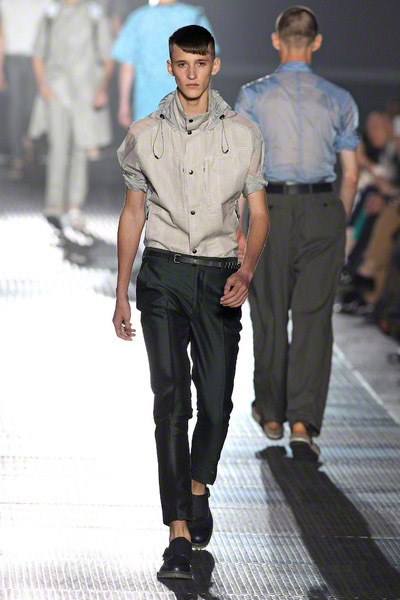 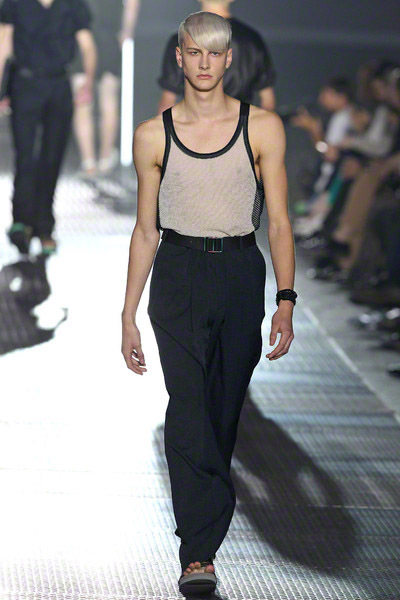 The menswear-collection of Lanvin had a post-punk vibe. 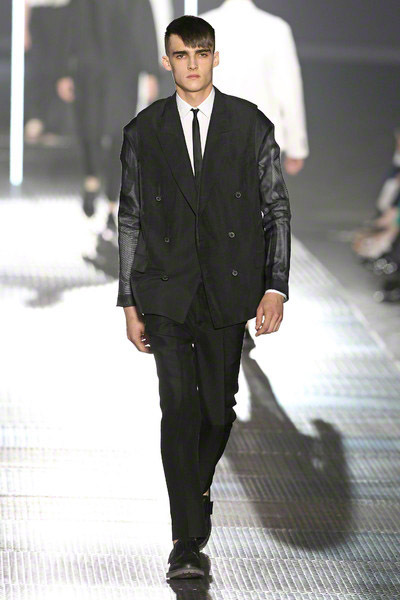 Black leather was one of the key ingredients, even used for shirts and ties under suits. 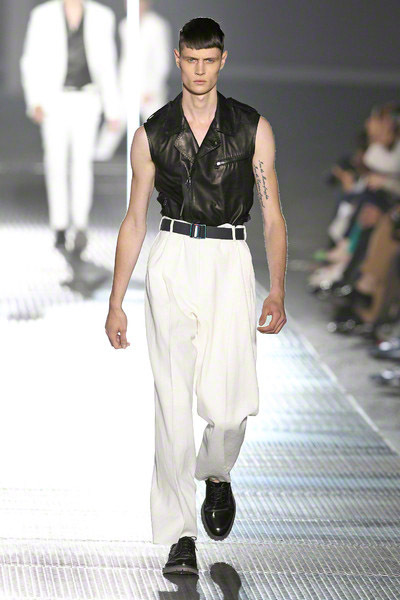 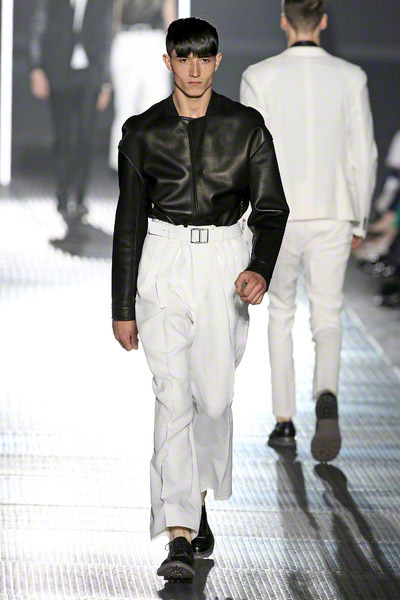 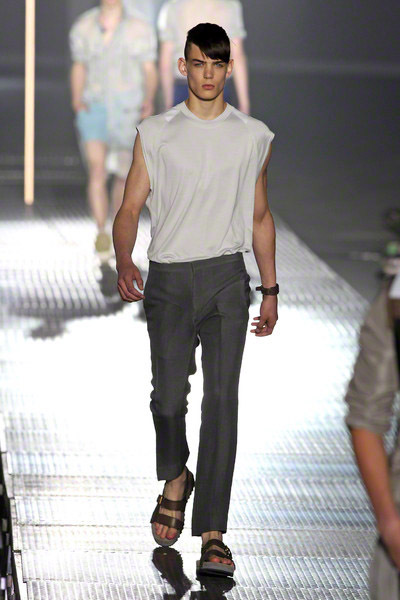 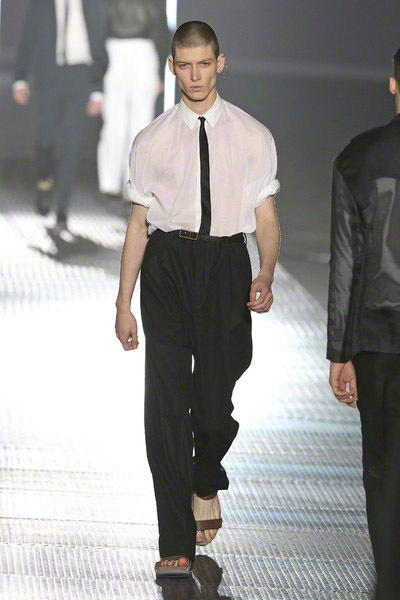 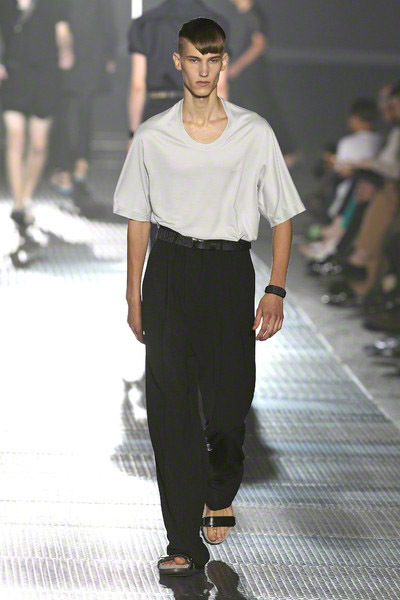 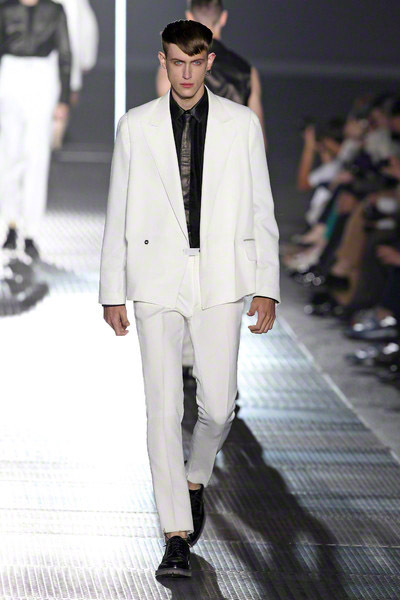 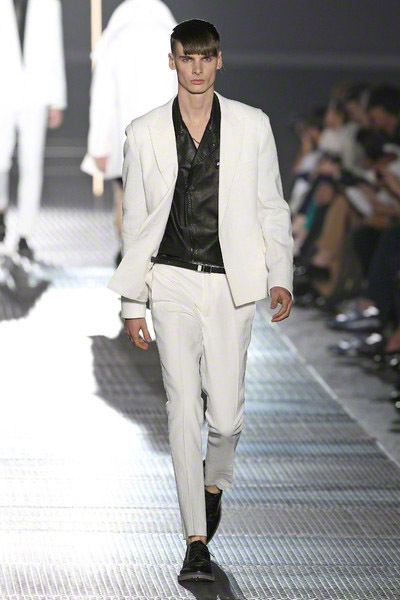 Flowing high-waist pants worn with oversized white shirts with rolled sleeves reminded of Fred Astaire. 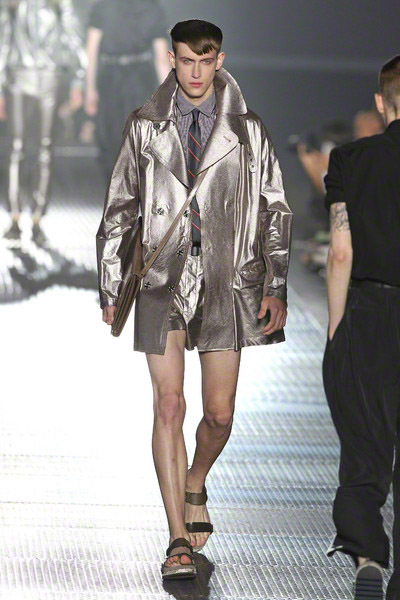 There were boxy T-shirts, classic jackets with billowing backs, a ska-style black shirt with a neon front, and glam suits in glimmering silver. 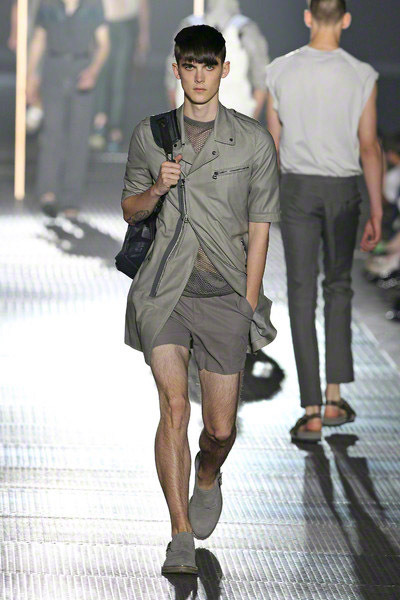 Silky, ultra-light windbreakers in python and sheer nylon were worn like shirts, tucked into slim, shiny pants or over tailored shorts. 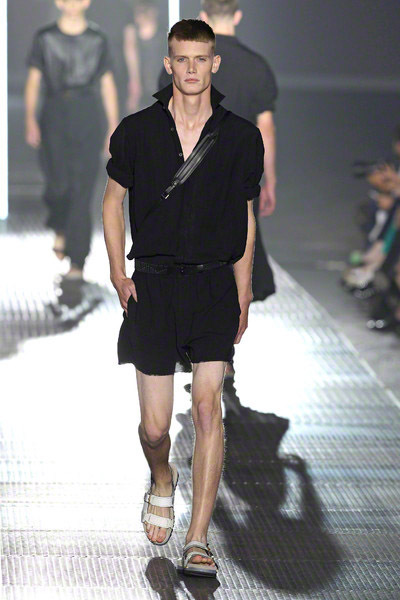 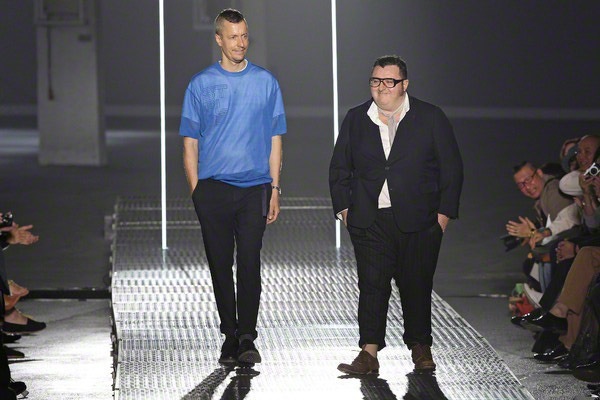 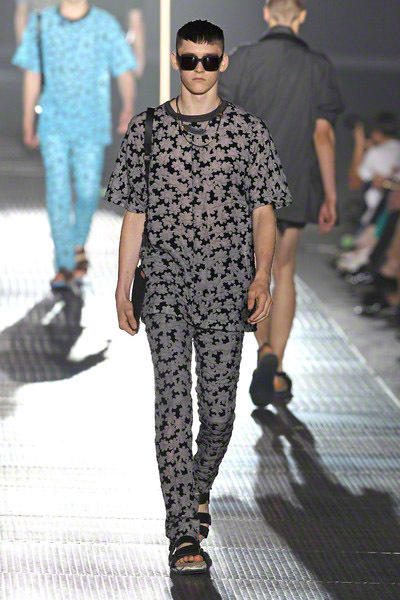 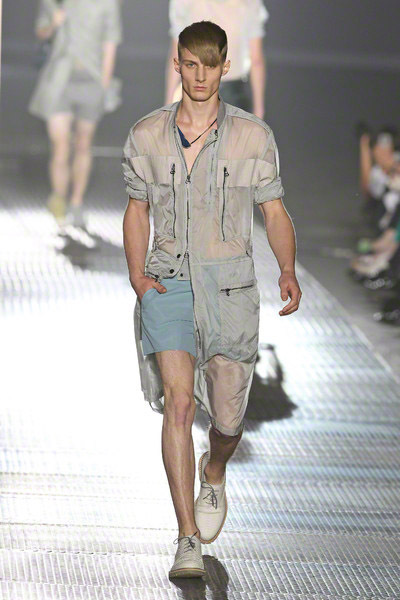 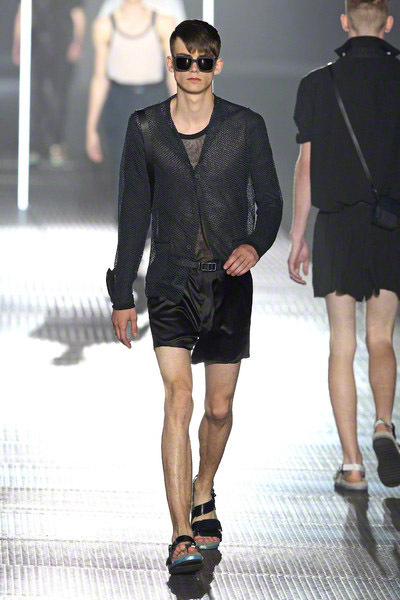 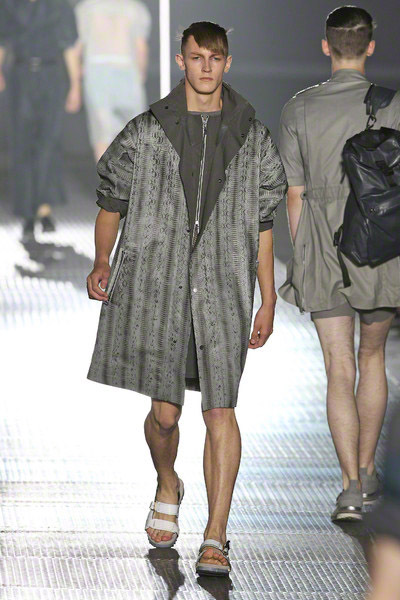 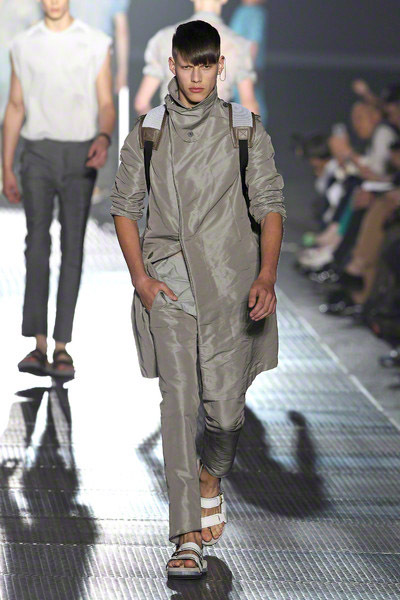 Spring’s top trends for men — lightness, transparency, silky fabrics and upscale technical sportswear — were there.